The Parish Newsletter for March is available here. There is still room on the two Lent courses we are running, (on Wednesday mornings and Thursday evenings) so please let me know if you would like to come along. All are welcome, and you don't need any special knowledge to join in. Hooray! The church website seems to be back up and running at www.sealpeterandpaul.com. Ignore all previous messages! Sorry for the inconvenience. Meanwhile, the blogs (this one, the sermon blog, friends blog etc.) are working fine, as is the church Facebook page and twitter, so keep an eye on those for news and information. Print out the final day's Boredom Buster here. And have a good time when you go back to school. It might not feel like spring yet, but it is on the way! Go for a walk to your nearest park or wood. How many signs of spring can you see? • twigs with buds on them where the leaves will soon grow? Sometimes the winter can seem very gloomy and colourless, but how many colours can you find? Try to spot a natural object for every colour of the rainbow and write or draw what it is below. If you are out with someone else, who can find the rainbow first? Stalks can be made of straw or strips of cardboard or twisted paper. 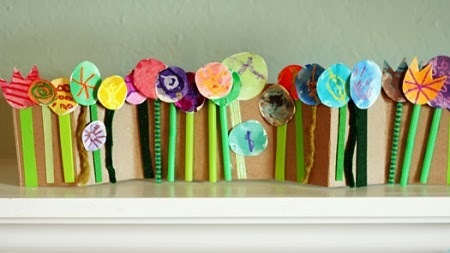 Flowers can have bottle top or egg box centres, and petals made of coloured paper or paper cup cake cases. It is up to you. Look through some magazines and junk mail and cut out areas of every colour of the rainbow until you have a pile of scraps of each colour. 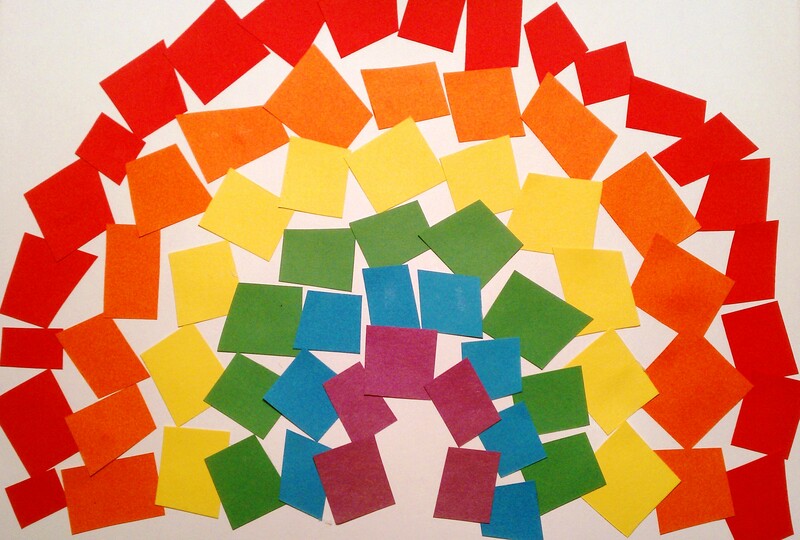 Stick them in a rainbow shape in the right order to make your own rainbow picture like this one. The people of the Bible were just as keen to see the end of winter as we are. Think of the signs of spring you’ve seen today and remember them when it still seems wintry and cold – Spring really is just around the corner! Check out today's Boredom Buster here. Go for a walk around your area. Look at the different types of houses you walk past. A house that used to be something else (a shop, pub or chapel perhaps? Some houses have numbers, some have names. Spot the names of the houses as you walk around. • Which one do you think is best? • What would you call your house if you could choose? 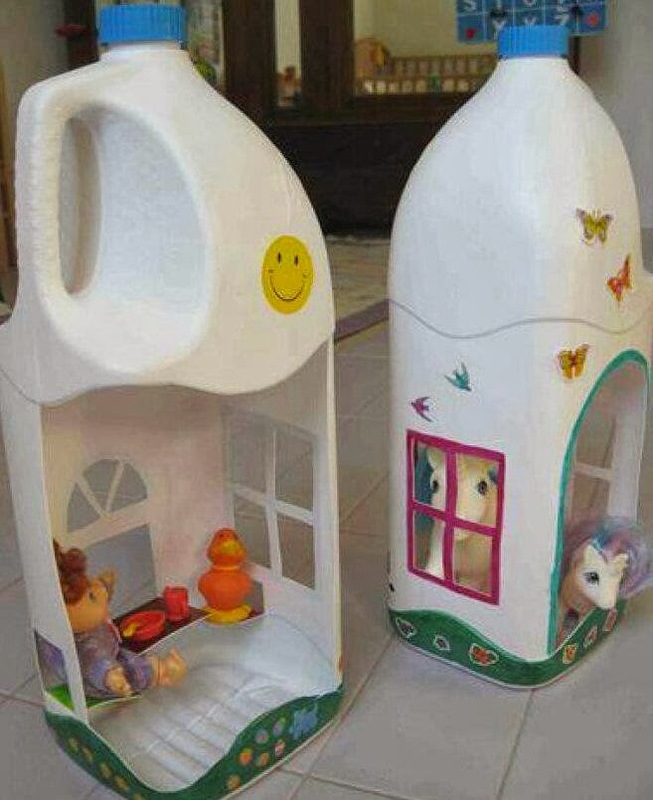 Make a house out of a milk carton or a box. You could cover it in plain paper and draw on it, or stick pictures to it. You could cut out doors and windows, and make some furniture and people to go inside it. You could make a “garden” around it. You could make a GREAT BIG HOUSE if you have a big box, or a very tiny house out of of a very tiny box. You could make a den for yourself by draping a sheet over some chairs or a table. Will anyone know you are there…? 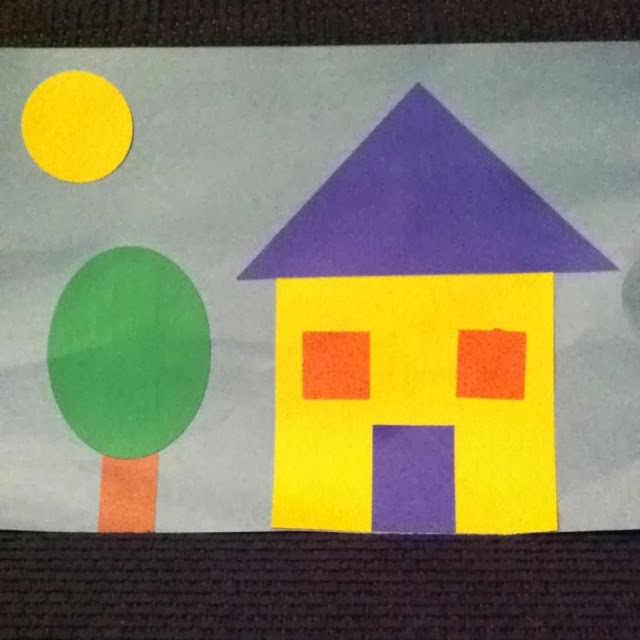 Cut out some squares, rectangles, circles and triangles out of paper in all sorts of sizes. Arrange them to make houses of all sorts of different shapes and make a street of them. What shapes are the houses you can see out of your window made of? 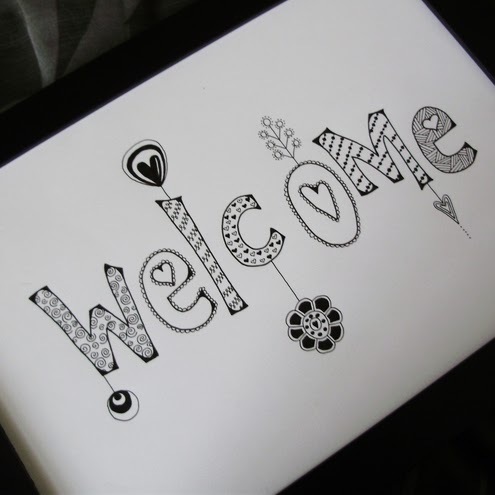 Make a welcome sign out of cardboard to hang in your house so that people know they are welcome when they come to visit. You could draw it and colour in the letters, or stick things to it. Make two holes in the top and thread some string through it to hang it up near your front door. What do you think makes a happy home? Print out today's Boredom Buster here. Take a walk to your nearest park or woodland. Take a bag to gather up some twigs and some string or wool. • How many different trees can you spot? • Can you spot a tree for each of the shapes in the picture below? • Most of the trees you see won’t have leaves on, but can you spot some that do? • How many different colours and patterns of tree bark can you find? Shut your eyes tight or get someone to put a scarf around your eyes. Let them lead you to a tree. Put your arms around it. Feel its bark and branches. Smell it. Then let them lead you away from it again. Take off the blindfold. 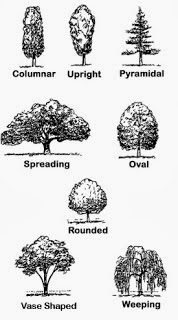 Can you find “your” tree again? 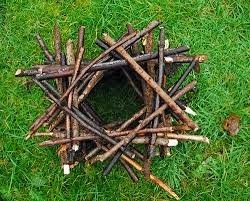 Can you build a tower of twigs? 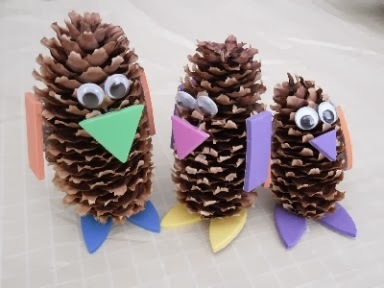 You will need these for the AT HOME activity! Imagine you could live in a tree? What would it be like? Draw your own tree house. It can be as strange as you like. • How will you get up to it? • What rooms will it have in it? • What will you be able to do in it? 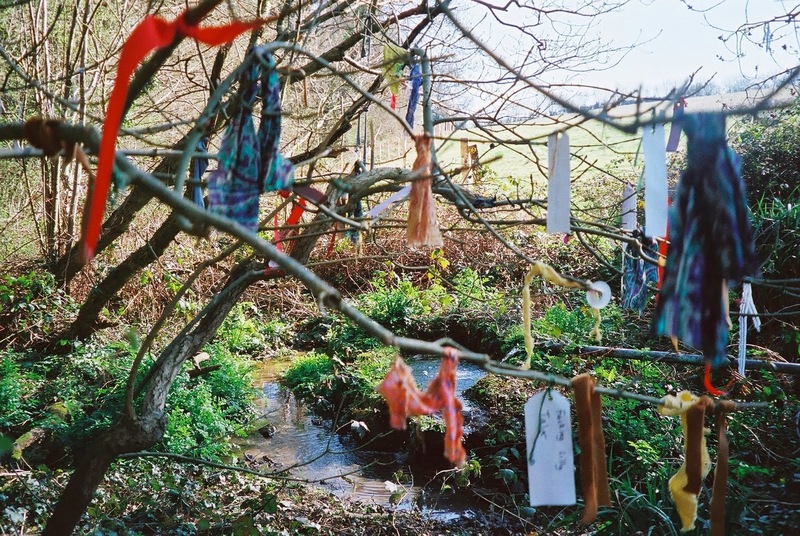 In some parts of England people pray by tying strips of cloth to trees. The cloths are called “clouts”, so it is called a cloutie tree. You can make your own. Take the twigs you found on your walk and arrange them in a jam jar or vase. Tie lengths of string, ribbon or cut up strips of cloth (ask first, before you cut!) while you think of people or situations you’d like to pray for. MORE IDEAS FOR THINGS TO DO WITH TWIGS AND TREES from nature detectives. Go for a walk to a church. Take some paper and a pencil. If you are in Seal you can come to Seal Church, which is always open during the daytime. If you don’t live in Seal, find another church near you to visit. St Botolph’s, Chevening; St Mary’s, Kippington; Ide Hill Church; St Lawrence Stone Street; St Margaret’s, Underriver (at the weekends); St Mary’s, Kemsing, St Luke’s, Eardley Road (10-2, Mon to Fri), St Mary, Westerham. Others may be open too, so it is always worth a try! Have a look around the church. If you are in Seal Church, there is a children’s church trail leaflet, which takes you on a journey round the church and helps you to find out what is in it. You can find the leaflet in the porch, or online here. • What can you find out about the church – how old is it? • what Bible stories can you find in its stained glass windows? • Is there an organ in the church (there is one in Seal Church – how many pipes has it got? • What is your favourite thing in it? • Sit for a while in the church and draw a picture of something you think is special there. • Can you read any of the gravestones? • Which are the oldest ones you can find? • Can you read what is written on them? • Do any of the stones have lichen growing on them – this is a sort of plant that grows very slowly, so it is a sign that the gravestones are old. • What can you see from the graveyard? There is a good view from Seal church – can you see your house or road? Make your own “mini-church” – a place to think or pray. A church is a special place where people to pray and think, to learn about Jesus and to learn how to love each other. You could make a “mini-church” - a special place in your home, by putting some things that are special to you or which help you think or pray on a small table or shelf. 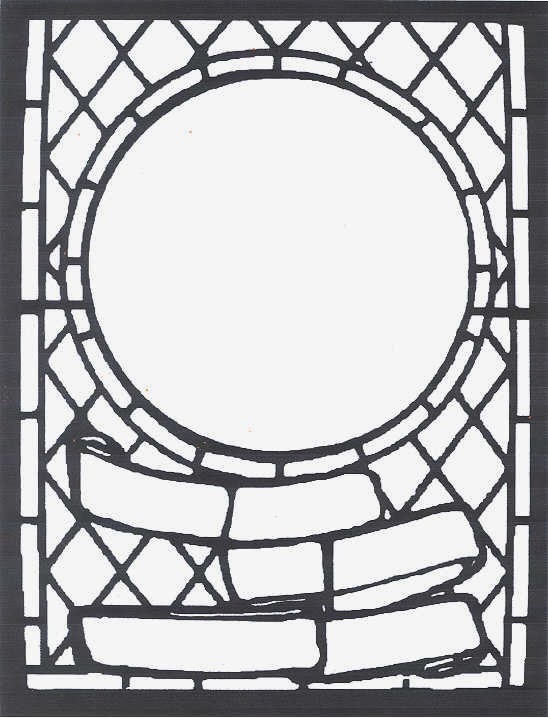 Print out the picture below (click on the picture and a document will open) and colour it in like a stained glass window in bright colours. What picture will you put in the circle? Stained glass windows usually have Bible stories in them. Do you know any Bible stories you could put in this window? Go for a walk to your nearest park, open space or woodland. Take a box or a bag with you. See what “treasure” you can find. Don’t pull anything from the trees or plants – just pick things up off the floor. Take your treasures home with you. What can you make out of them? 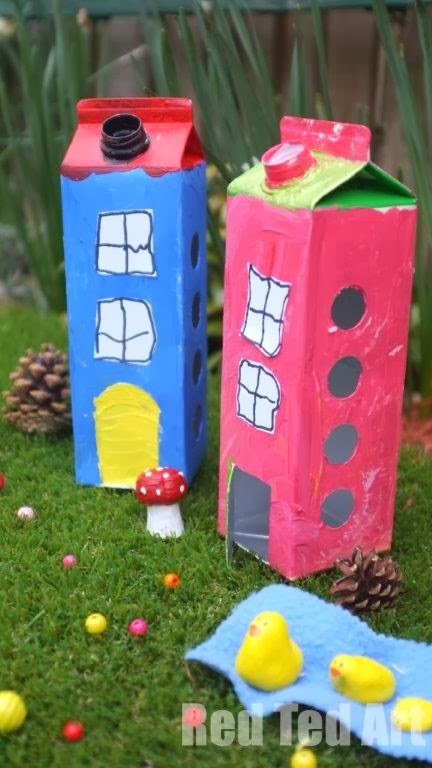 • You could make a model landscape using the things you have picked up, arranging them on a cardboard base. 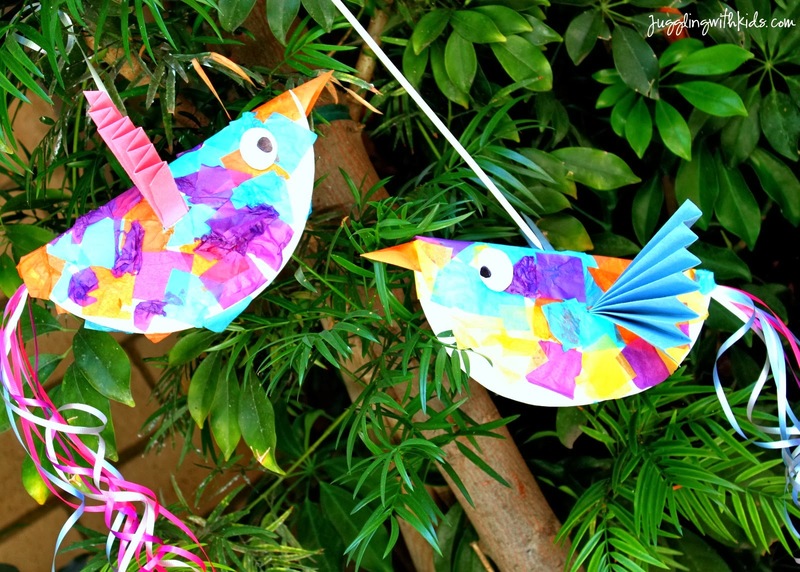 • You could make a mobile by tying them onto a twig. • You could make a leaf rubbing, by putting a piece of paper on top of a leaf and rubbing a crayon or pencil lightly over it. Pretend your treasure is really something else. You can make up anything you like, so long as it isn’t true! You need someone to play this with you. Put all your treasures into a bag. One of you pulls out a treasure without looking and starts telling a story which includes that treasure. • Who did it belong to? • What did they use it for? • Is someone looking for it? • How did it come to be where you found it? • Does it have any magic powers? • What will happen to it now? Keep going as long as you can or until the bag is empty! Put all your treasures on a tray. Someone then secretly takes one treasure away while everyone else has their eyes closed. • Which treasure is missing? Have you got anything that is really special to you? How would you feel if you lost it? How do you look after it? The Bible says that we are special to God and he will never lose or forget us. Start from your own front door if you can, but if you are living down a long country lane with no turnings off it you might like to start from somewhere a bit more built up! Every time you come to a road junction toss a coin and turn right or left, depending on how it lands. If there is a side road off the one you are on, take it if the coin tells you to turn in that direction, but keep straight on if it doesn’t. If you come to a dead end, turn around and go back the way you came until you come to another choice. Decide how long you want your walk to be, and when you’ve used up half the time, start heading for home, by whatever route you want to – if you want a 30 minute walk, turn round after 15 minutes. I wonder where you will get to! You might end up going round in circles! • What do you see on your walk? Is it quiet or busy? Did you meet any people? Have you ever walked along those roads before? • Choose two points (two lampposts, for example) and count the number of steps it takes for each of you on the walk to go from one to the other. Who takes the most strides? Who takes the fewest? Please make sure you stay safe on your walk. Don’t go alone, and take note of where you have gone so that you can find your way home again! • Draw a map of your walk on some scrap paper. • Draw on it the things you saw. • Draw on it what the weather was like when you went for your walk. • Make it as colourful as you can and include as much detail as you can remember. 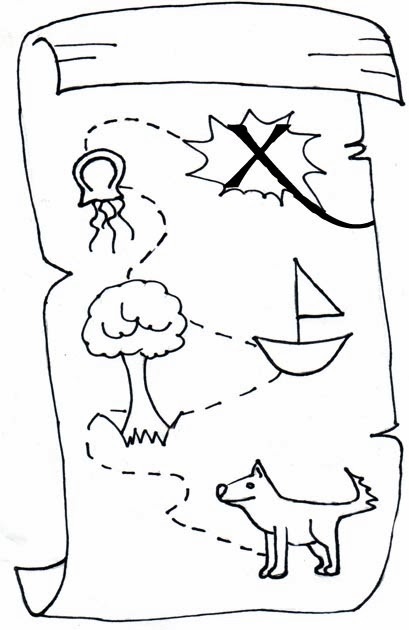 • Draw another map of an imaginary place on some scrap paper or somewhere you would like to be. Perhaps it is very hot, or very cold there. Perhaps it is by the sea or on the moon – it’s up to you! • What is the landscape like? • Are there any towns? • What do people do there? • What sort of places do they have to play in ? • What sort of food do they eat? • What sort of clothes do they wear? • What are their schools like? • What sort of animals live there? • Are there any monsters…? Who helps you to make the right decisions about what to do and where to go? Say thank you for them. Sit or stand very still for a few minutes. • How many birds can you see? How many can you hear? • Can you hear any birds singing? • Do you know what any of the birds you have seen are called? Can you see any of the birds on the chart below. What are they doing? 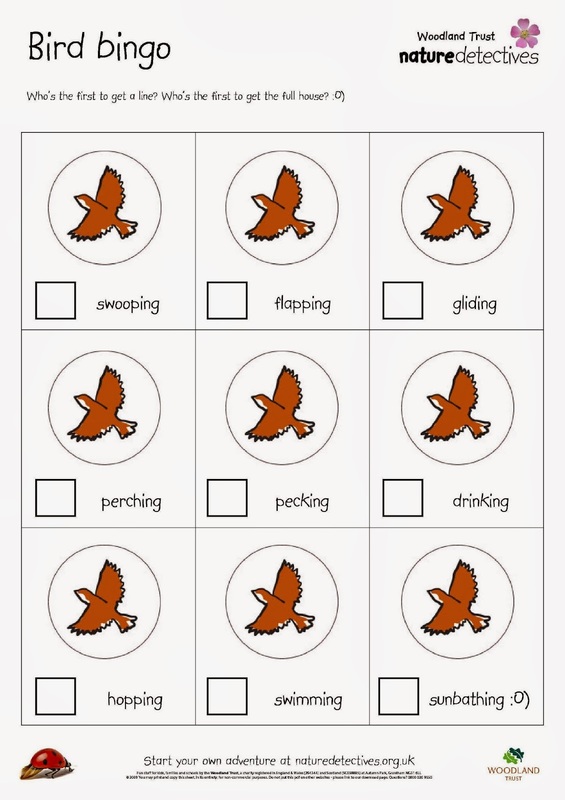 Play Bird Bingo below (from www.naturedetectives.org.uk . Tick the boxes when you see a bird doing the things below. Draw an imaginary bird on some scrap paper. It can be as strange as you like! You could colour it in, or you could cut out feather shaped pieces of coloured paper and stick them to it. Did you know…? We have a fantastic bird reserve right here in Sevenoaks. You can see all sorts of birds in the Sevenoaks Wildlife reserve on Bradbourne Vale Road (near Knowle Academy -TN13 3DH. It is free and open every day. 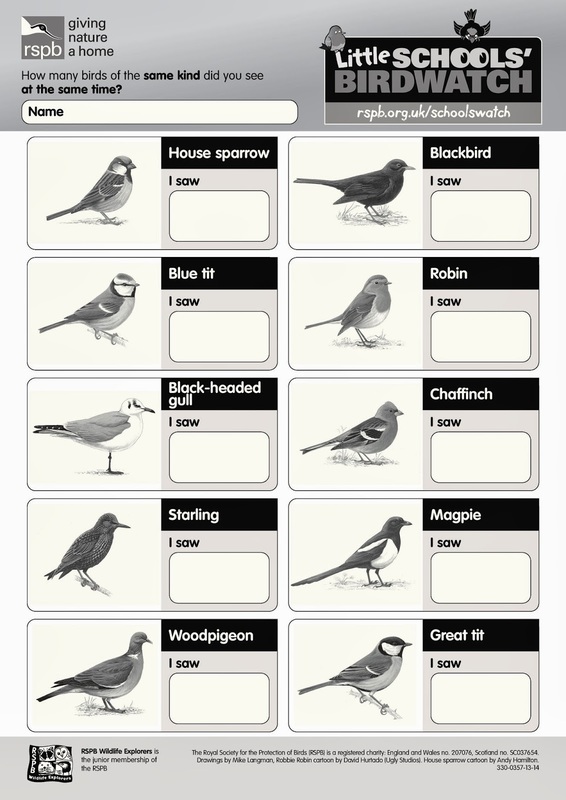 Why not along and see what birds you can spot? Jesus taught that there was room for everyone in God’s kingdom – we are all welcome in his family! 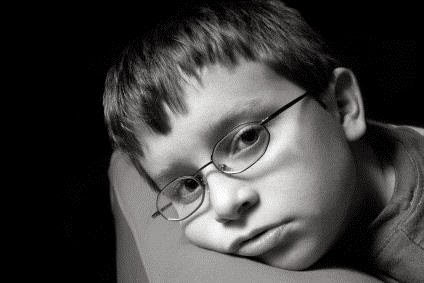 How can you help everyone in your family or your school to feel welcome and loved? MESSY CHURCH is happening this Sunday (Feb 16) from 4 -5.30pm in the church hall. If the thought of occupying your children during the half-term break is weighing heavily on you, why not download a copy of the Boredom Buster booklet I have put together, with ideas for things to do each day of half-term. They are all no cost, or VERY low cost, and can be done without transport. There are printed copies of the booklet in the church porch, and I will also be posting each day's suggestions here on the church blog (from Monday morning) if you would rather get the suggestions in that form. I hope it provides some ideas and inspiration. On Saturday Feb 22 we also have two events to look forward to. 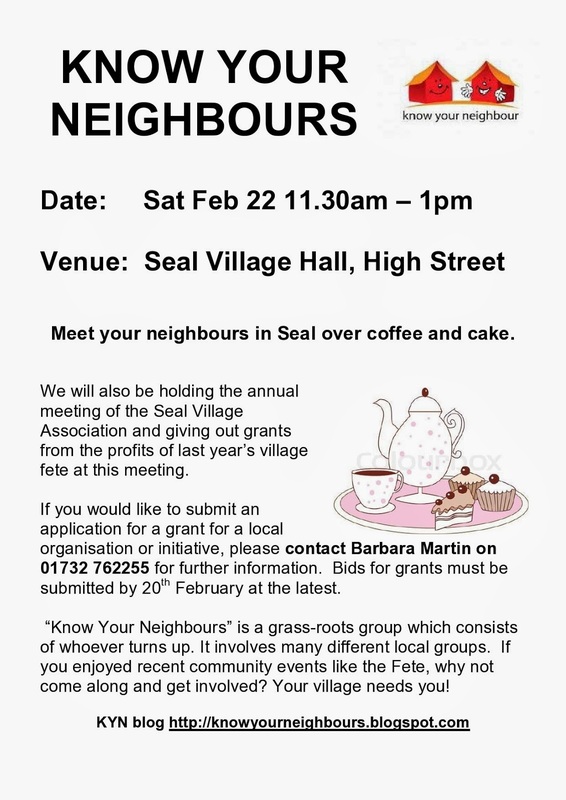 In the morning from 11.30am -1pm in the Village hall (on Seal High Street) we are having a Know Your Neighbours drop in morning . Come along for coffee and cake and a chance to meet those who live around you. On the evening of Saturday Feb 22 we have a Quiz Night in the church hall. It starts at 7.30pm. Tickets are £6 which includes a ploughman's supper. Please bring your own drinks. You can sign up for this on the sheet on the red table just inside the church door, or phone Maggie Fox on 01732 762840 to reserve a place. Everyone is welcome to this, but we really do need you to book in advance as these evenings are often very well attended, and it is a great shame if we have to turn people away who haven't booked because we are full up. Thinking of standing for General Synod? A message from three former members of the General Synod. your church ...and an invitation to lunch! election of General Synod members so that, between them, the elected members fairly represent the whole diocese (geographical spread, age, gender, race etc.) respecting the spiritual depth and intellectual breadth of the Church of England..
the House of Laity of the General Synod, and that they exercise their right to vote. questions, make nominations and take an active interest in Deanery, Diocesan and General Synod elections. • Rochester has 5 lay members and 4 clergy members of the General Synod. out of a possible 532 did not use their vote. 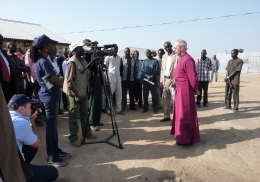 Synod members and encourage them consider standing. can use your vote wisely. 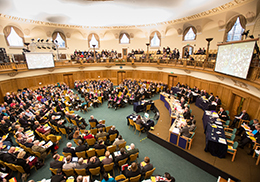 • Remind Deanery Synod members to use their vote in the General Synod elections in 2015. 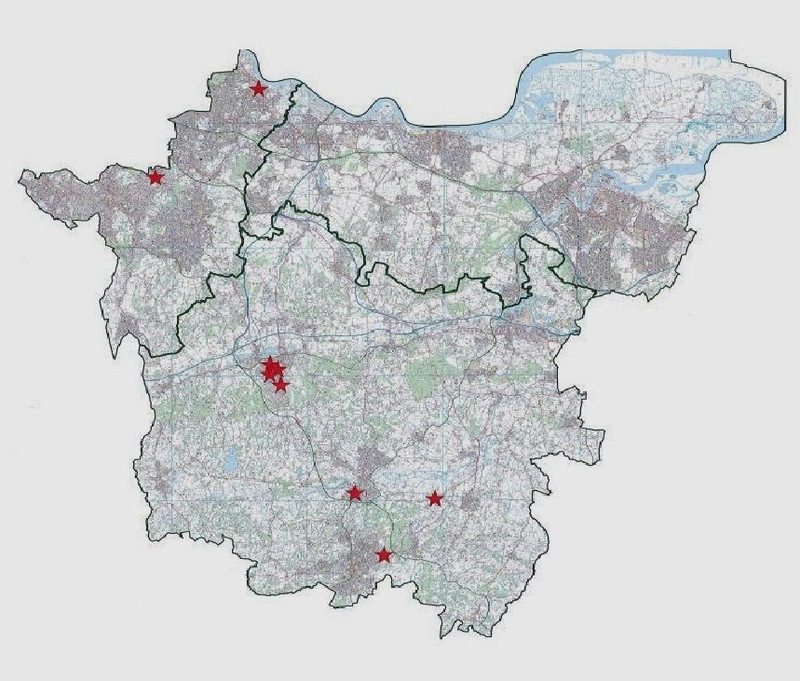 Map: The small red stars show where current 9 members of the General Synod live. 3. Come to the Synod Enquirers lunch on 29th March 2014 at Bishopscourt, 12.00 - 2.00pm. 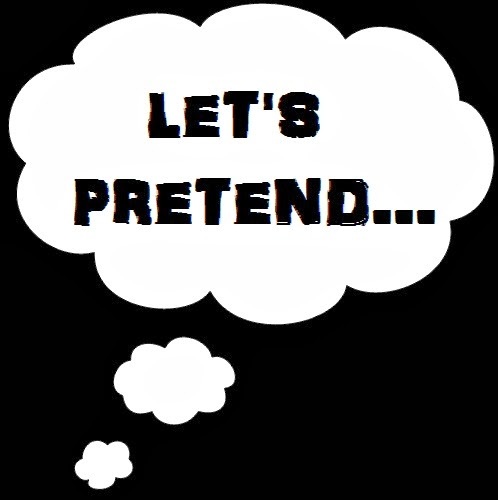 convince you that it's that last thing you want to do! To sign up for the lunch contact Bridget Langstaff. We are all previous General Synod members who will not stand for election again. Let Bridget know if you would like to attend, and whether you have any dietary requirements. Please feel free to bring a friend. Some parking is available.